You can never be truly Bruneian if you never eaten at Jing Chew Kopitiam. It is so popular that parking is hard to find. 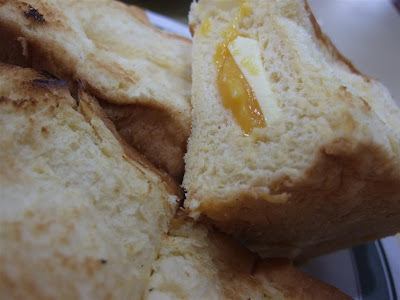 I really like their Roti kahwin kuning. Basically it's fresh baked yellow bread, with a slice of butter and kaya in the centre. Very rich and tasty breakfast or tea, though not good for your arteries! They also have freshly baked buttermilk buns and peanut buns which is usually sold out if you are late. I usually go around 2pm to enjoy them. Jing Chew, always a good place to hang around with friends and chill. 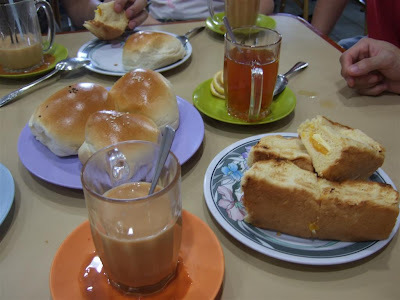 Have a nice cup of Teh Tarik India and chew one of those tasty buns, while chatting and laughing with your mates. Good food at cheap prices. A truly special place in the hearts of many Bruneians. 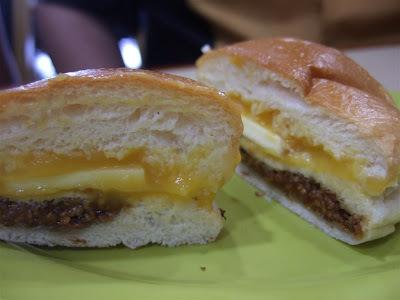 Edited: For those who live overseas and miss those buttermilk buns, one of our very own Bruneian blogger Ihsan has attempted to make some. Here's the link to her buttermilk buns recipe. Give hers a shot! 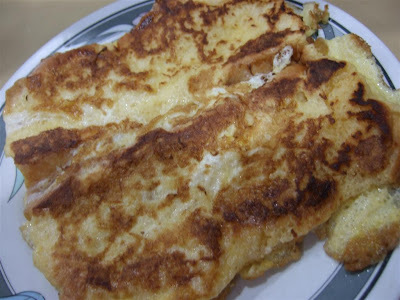 Would you happen to know what the recipe for the buttermilk filling is? I loved those back in Brunei. 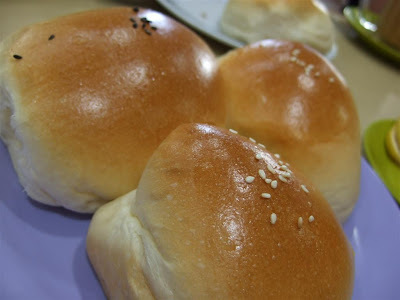 This post made me drool..
One of my dear Bruneian bloggers Ihsan did make buttermilk buns. Give it a shot Louisa! Thank you, thank you, Thanis. I'll certainly give it a try! Hi... am in middle east atthe moment and craving or jin chiew zima kiew tiew (if i'm not mistaken). I think its one of the best in Brunei... :).. btw, i absoutely love ur blog!